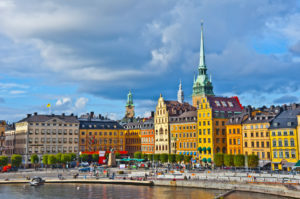 Ardian has acquired more than half a billion dollars in private fund stakes from a Swedish life insurer, Secondaries Investor has learned. Skandia Asset Management, the investment arm of Skandia Mutual Life Insurance Company, offloaded a $550 million portfolio that priced around par, according to two sources with knowledge of the deal. A number of stakes were in funds managed by general partners with which Skandia has not re-invested, according to one of the sources. Greenhill advised on the sale, Secondaries Investor understands. It is not clear if the portfolio comprised only private equity stakes. Skandia has Skr675.84 billion ($72.8 billion; €64.6 billion) in assets, 9.2 percent of which is committed to alternatives, according to PEI data. Deals it has backed in the last year include a tender offer involving Bridgepoint’s 2008-vintage private equity fund and 2018-vintage credit fund, and the acquisition of $1 billion of stakes from Maryland State Retirement and Pension System. Financial institutions and asset managers accounted for 8 percent of secondaries transactions by value in 2018, with only family offices accounting for less, according to data from Greenhill. Skandia, Bridgepoint and IK declined to comment. EQT, Greenhill and Ardian did not respond to requests for comment.